An investigation into the incident is ongoing, but Toyota said unauthorized access had been detected on March 21 on a server storing information on 3.1 million customers. The exposed data included names, addresses, dates of birth, occupation and other information. Payment card information was not exposed, the company said. While the attackers gained access to the server, Toyota said there was no evidence that they actually stole anything. The company has named eight affected Toyota and Lexus sales firms. Toyota representatives told SecurityWeek that the cyberattack was aimed at Toyota Tokyo Sales Holdings Inc., a TMC sales subsidiary in Japan, and its affiliated enterprises. In addition, three independent dealers in Japan may have also been impacted. “Toyota Motor North America (TMNA) is monitoring the situation closely and is currently unaware of any compromise of TMNA systems associated with this incident or evidence that Toyota or Lexus dealers in the United States have been targeted,” TMNA said in an emailed statement. The car manufacturer revealed that unauthorized access had also been detected at subsidiaries in Thailand and Vietnam on March 19. This is the second time Toyota has disclosed a data breach in recent weeks. Toyota Australia revealed on February 21 that it had been hit by a cyberattack. The company stated at the time that no employee or customer data had been compromised, but the incident did cause disruptions to IT systems, including phone and email communications. 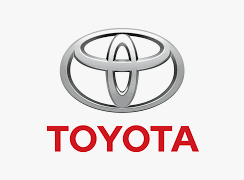 Some experts suggested at the time that Toyota Australia was likely targeted by a Vietnam-linked advanced persistent threat (APT) group tracked as APT32 and OceanLotus, which researchers have described as highly sophisticated. FireEye experts reported after the Toyota Australia breach that APT32 had been known to target the automotive industry. Related: Tesla Breach: Malicious Insider Revenge or Whistleblowing?